When asked about his family, Dr. John Berdahl says, “I am married to the most beautiful woman in the world who also happens to be the most amazing woman in the world.” John and Tamme, his wife, have two kids, Tommy and Anabel. Tommy is 6-years-old and Dr. John Berdahl describes him as sweet, thoughtful, and exciting. Much like his parents, Tommy is very caring for other people and has a mind full of creativity. Anabel is 3-years-old and Dr. John Berdahl describes her as “a dare-devil who goes after life with the confidence that is uncommon in other kids.” Anabel is simply a bundle of joy who doesn’t seem to be afraid of anything life throws at her. 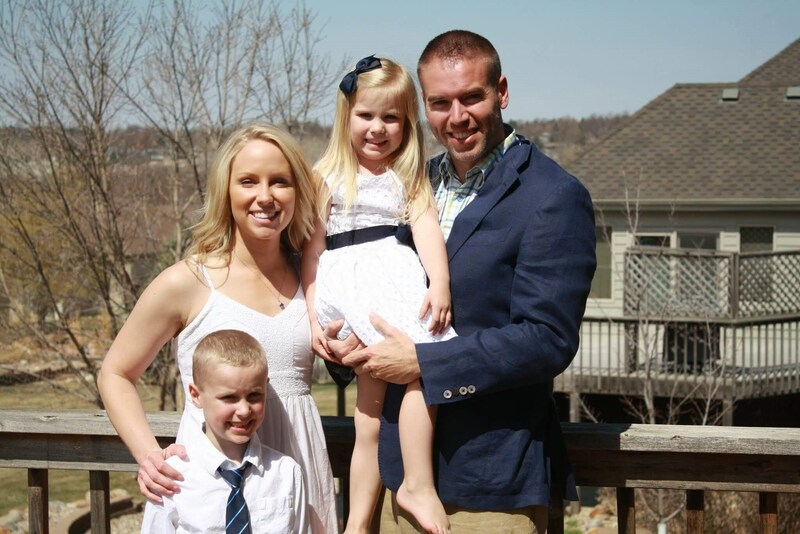 Although a lot of his time and effort is put into his profession, Dr. John Berdahl also has a big passion for his family and continues to love the life he has with them. Along with a love for his family, Dr. John Berdahl also enjoys challenging himself. A favorite hobby of his is simply reading. He especially enjoys reading philosophical pieces such as Mere Christianity by C.S. Lewis and world-view challenging works like A Brief History in Time by Steven Hawking (Dr. John Berdahl says, “it explores how the universe exists and it BLOWS YOUR MIND”). He loves to challenge himself with new adventurous experiences as well, like sharing his medical talent with eye clinics in other countries, spending time abroad for mission trips, and the opportunity to see the world from new perspectives. What he appreciates more, though, is coming back from these trips and loving living in South Dakota with his family. Dr. John Berdahl’s experiences have led to one of his favorite activities, scuba diving. Although his favorite hobbies include being active and adventuresome, he still considers cozying up and watching a good movie as a favorite activity. Whether it’s playing ball or wrestling around with the kids, Dr. John Berdahl’s most important favorite activity is family time; he just loves spending time with them. Although he’s one of the world’s leading experts in ophthalmology, Dr. John Berdahl’s love for his family and his ability to be unassuming make him easily relatable, easily talked to, and easily understood.